Harrier GD has a comprehensive range of high quality fittings for your glasshouse. With many years of experience in this field, we are confident our products will give our customers the best working environment for them and the best growing conditions for their plants. 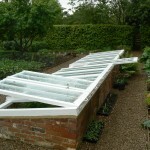 Each glasshouse is unique and customers will have different needs for the accessories they require. 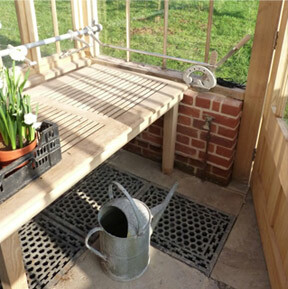 Our products range from Cold Frames to Vine Wires, External Shades to Floor Grates, Vent Mechanisms to Benching, and many more, so whatever you are interested in, contact us to discuss your requirements. There is often a close association of greenhouse fittings with ‘Heating Systems’ or ‘Hydrants & Taps’ – so some of the products you are looking for may be found in those dedicated sections. 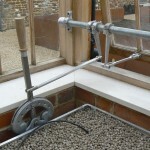 The glasshouse needs a range of fittings to perform effectively. Benching and shelves are usually first on the list of requirements. Harrier GD supplies a variety of styles to suit customers individual requirements. 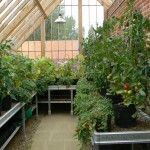 Cold frames are to many gardeners, just as important as the greenhouse itself! Harrier GD design and manufacture a range of cold frames and English Lights for the discerning gardener, professional or otherwise! 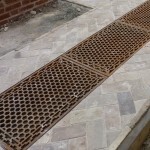 Various styles and materials can be used to suit customers requirements. 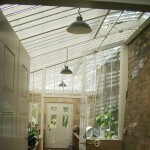 The most effective method of reducing the temperature, or to control light levels within a glasshouse, is to attach external shades. 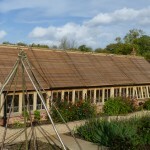 We offer two main types: Silver Reflective and Cedar Slats. Both can be fixed or retractable. In a working greenhouse grates can be used over a duct for heating pipes. They can also be used in conjunction with other flooring, purely as an aesthetic feature. 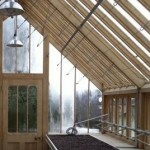 Ventilation is the key to a good glasshouse. To achieve satisfactory air flow it is best to have both roof and side ventilation to ensure an even and strong flow of air through the structure. Harrier GD offers a variety of vent mechanisms to operate your glasshouse vents. In a glasshouse there are two sorts of lights typically used - General access lighting and Grow lighting. For either of these, we can offer a solution! 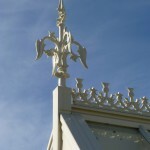 Cresting & Finials finish the ridge and intersection of the barge boards, and define the Victorian greenhouse. They are available from Harrier GD in a range of shapes & sizes. 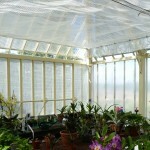 In order to ensure the high light levels needed by a vine, it is useful to incorporate vine wires into your greenhouse. Harrier GD has installed Thermal Screens in more specialised applications. They are 'silver blankets' which effectively reduce the area to be heated, as well as reflecting radiant heat back into the greenhouse.